​We are a group of local residents and families on Lāna'i who promote community kuleana to mālama 'āina. In other words, we embrace the privilege and responsibility to care for our resources. 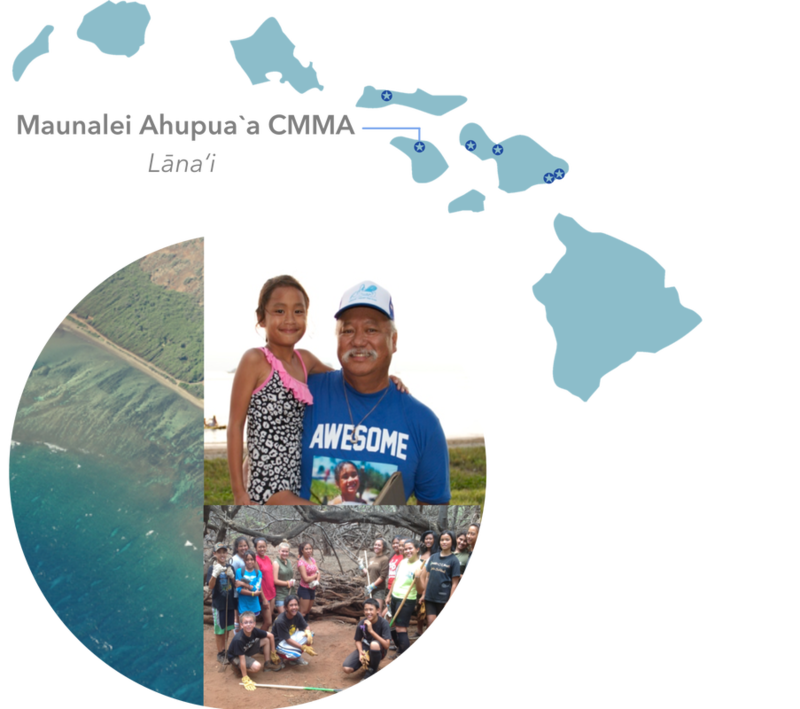 Native Hawaiian and local resident families have thrived off of the natural resources of Lāna‘i for generations. Today, marine resources, including coral reefs and near-shore fisheries, remain central to island life. Despite its importance, the marine life of Lāna‘i is endangered by a number of unmanaged threats both in the water and from land including sedimentation, climate change, and overharvest. One example is an increase in the deer population and invasive plant species in our ahupua'a (land division), which has caused a soil erosion problem. After it rains, sediment runs off the land and into the water, degrading coral reefs and essential habitat for fish and other important species. To combat this erosion issue, we have built - with help from local youth groups - gabions, or sediment traps, using wood from the invasive kiawe trees. To contact us, please reach out to the Maui Nui Makai Network Coordinator.